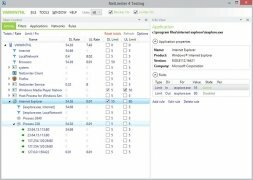 Many times, without the user even knowing, programs can run on Windows in the background using up all our bandwidth, and slowing down the computer's Internet connection. 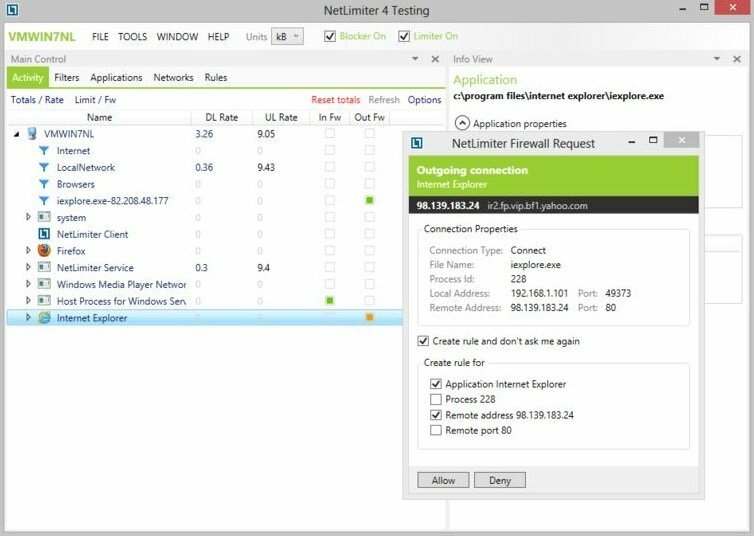 And that's where NetLimiter can come in very handy, as it's considered as one of the best management tools to administer the connections made by each one of these programs. 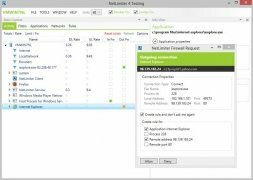 Possibility to adjust the bandwidth granted to each application. Monitorization of the incoming and outgoing traffic. Detailed stats on the consumption of each program connected to the Internet. 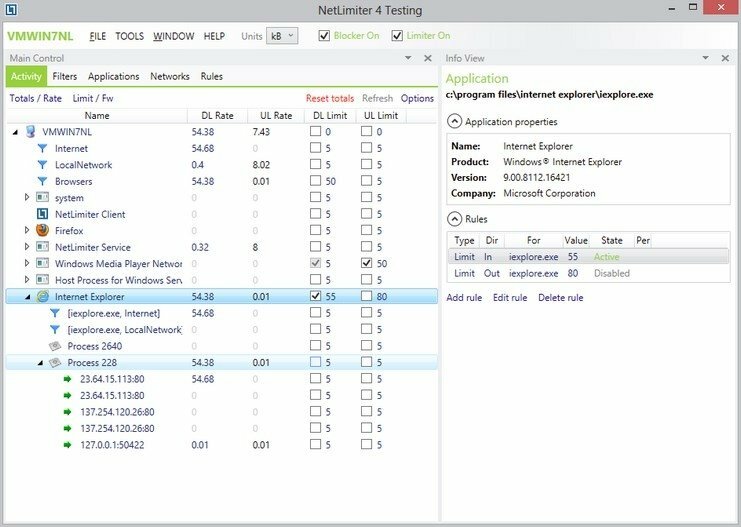 By using NetLimiter you'll have a tool to fully control your connection, so that you can optimize its functioning to use your cable or ADSL capacity to what you're really interested in. The trial period lasts for 28 days.